Discover the lustre of superior online blackjack at Ruby Fortune! Find premium editions of the classic card game you can play for real money at Bermuda’s finest casino! Powered by Microgaming, our casino brings you the smoothest 21 games available. Designed with the ultimate player friendliness in mind, you will have no trouble at all playing a game that has fascinated players for centuries. Sign up at our casino, peruse our collection of dazzling games, and start working on getting your hand of cards to 21 to beat the dealer and claim the prize. The glittering online blackjack available at Ruby Fortune isn’t just easy to play. We’ve also made it convenient for players in Bermuda. Immerse yourself in instant 21 fun by playing in browser. There’s no need for you download anything. All you need to do is point your mouse at the online blackjack game of your choice, and select it to open it so you can start playing. 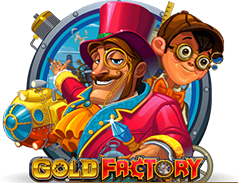 Download the free Ruby Fortune casino software to ensure you can play the games whose density means they can’t be enjoyed fully in browser. Choose gaming of the highest quality by playing online blackjack at Ruby Fortune. Microgaming’s excellent software means action and entertainment that shines with incredible possibilities. The HD graphics and animations are top class, and the games feature sound effects that bring it all to life. Our games run smoothly, so you can enjoy playing cards without the frustration of the game freezing up. A tried and tested random number generator means that every bet you place when you try beat the dealer has a chance of winning. Come play 21 with us, and experience the very best in online entertainment available to players in Bermuda. Ruby Fortune’s online blackjack collection isn’t only about quality. The variety of games you can play at our casino is simply staggering. Enjoy the timeless thrills of the game as it has been known and loved for centuries, or try 21 with a few modern touches. You can even play games with surprising twists that are sure to get your pulse racing. Experience the ease of playing online blackjack at Ruby Fortune, Bermuda’s favourite casino. While the game does offer tremendous scope for all sorts of strategies that could improve your chances to win, the basics really are very simple. The two things you need to keep in mind is that, for your hand to win, the value of the cards needs to be 21 or as close to that as possible, and that the total needs to beat the total of the dealer’s hand. You receive two cards at the first deal, and can then decide to take another card, split the hand into two so you can build new hands, or play your hand as is. Dazzle yourself with online blackjack at Ruby Fortune now!